Looking for a new beer to enjoy this holiday season? 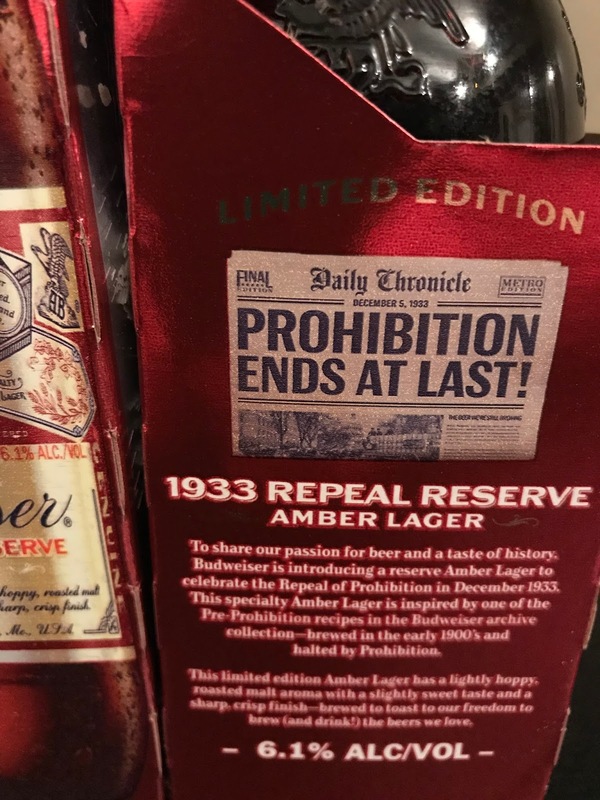 Celebrate the repeal of Prohibition with the limited edition Budweiser 1933 Repeal Reserve Amber Lager! 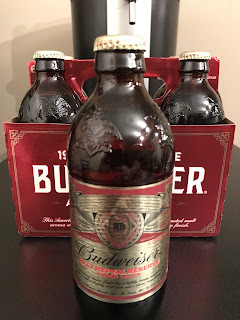 When I first heard about this new Budweiser release I didn't know what to expect. It's been widely reported that beer trends have been changing and AB-InBev has been looking for something to help regain it's once tight grip on the domestic beer market. Is this beer just a gimmick or is it actually good? First of all I have to give them credit with the vintage stubby bottles. 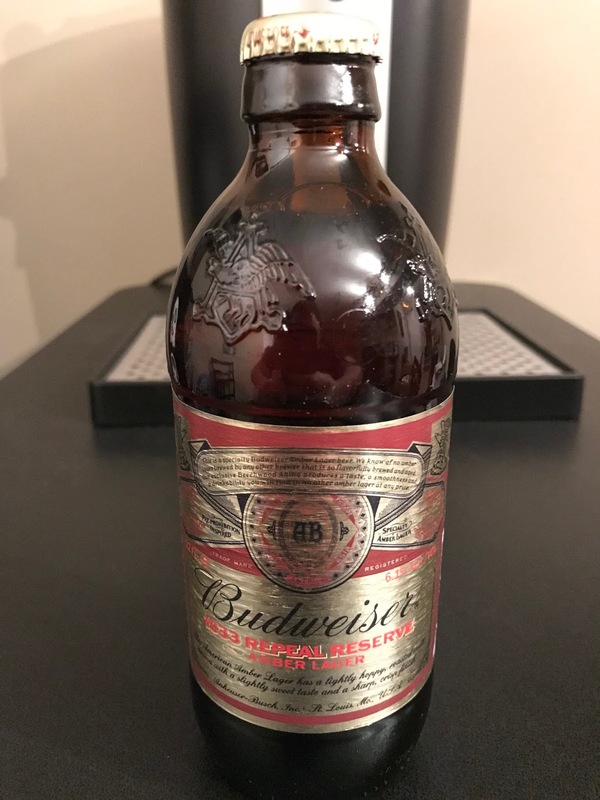 The throwback bottles are always a favorite of mine and they do a great job representing the classic Budweiser look and feel. The 1933 Repeal and Reserve Amber Lager comes in at 6.1% compared to the 5% of a classic Budweiser, so it's packing just a bit more of a punch. The taste is nothing to write home about, but it's still an enjoyable beer in my book. 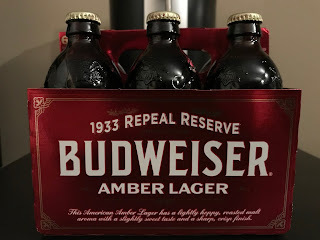 It's a smooth amber lager that can get you a nice buzz going. A fine choice to enjoy before you prepare to chow down on some turkey this Thanksgiving. 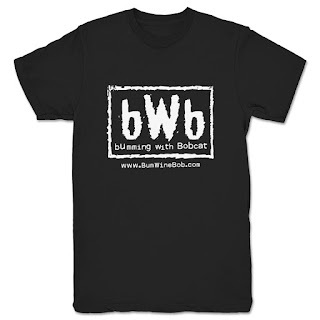 With the holiday season in full swing, I am happy to announce my partnership with TeePublic and the new Bumming with Bobcat Merch Store! Check out the store for some great deals on classic bWb shirt designs and $14 T-Shirts along with designs from the TeePublic community! Are koozies more your thing? 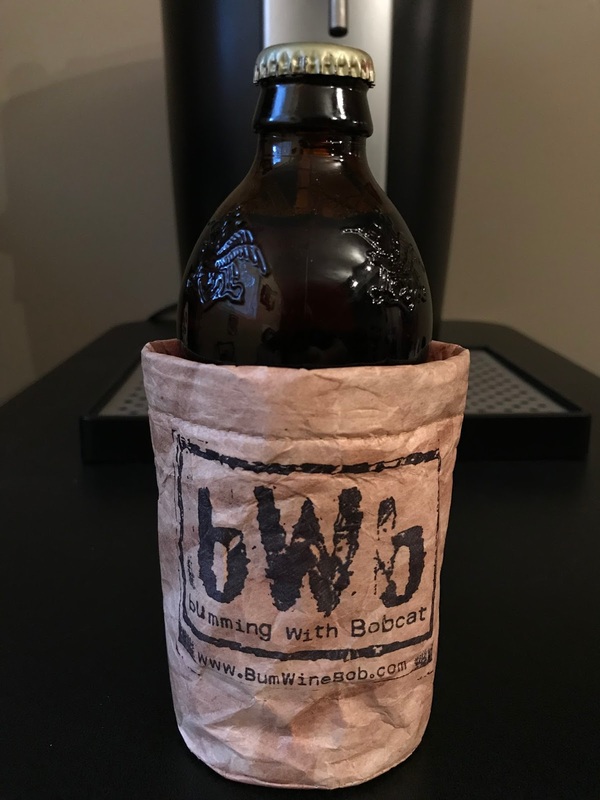 Looking to order some bWb brown bag specials or a set of bWb brown bag koozies for that special someone this holiday season? 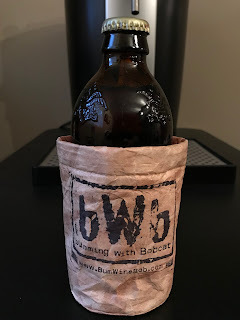 Head to shop.bumwinebob.com and order a set of bWb brown bag specials for only $10 $8 with some special early Black Friday pricing!